By Verena Rauchenwald, IIASA Air Quality and Greenhouse Gases Program. “This is just the beginning…” were the visionary words of Henrik Skovby, one of the founders of the global innovation lab UNLEASH, at the UNLEASH Award show in Aarhus, Denmark, on 21 August 2017. 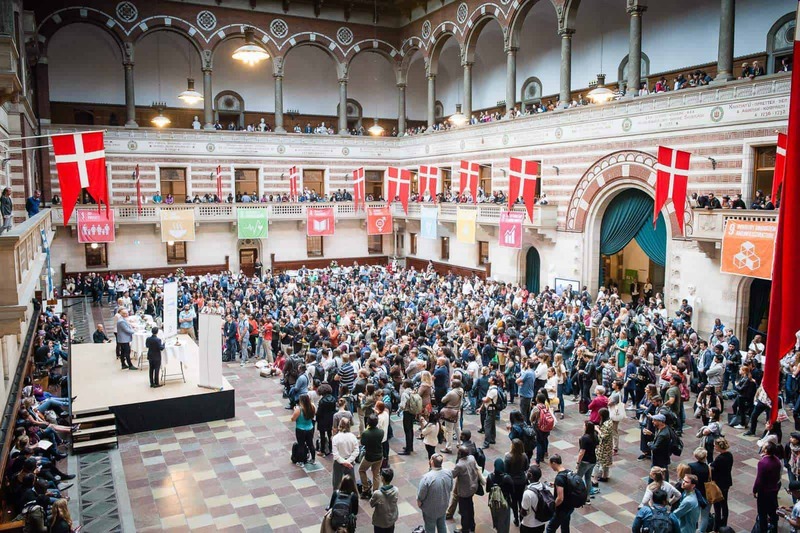 Honorary guests, such as the Prime Minister of Denmark, Lars Løkke Rasmussen, the Danish Crown Princess Mary, and Ashton Kutcher, US actor and investor, came to Aarhus to deliver awards to UNLEASH’s top teams with the best ideas on how to achieve the UN Sustainable Development Goals (SDGs) by 2030. The UNLEASH innovation lab invited 1000 international ‘talents’, aged 18-35, to Denmark for 10 days, to undergo a unique innovation creation procedure facilitated by Deloitte, one of UNLEASH’s partners. As one of the selected talents, I had the privilege of spending a few days at one of Denmark’s Højskole (a Danish community college) where the concept of lifelong learning really comes to life. These community colleges’ principles go back to the Danish philosopher Grundtvig, who believed that education should be available to everyone. Nowadays, many young adults choose to live and learn at Højskole for four to five months at a time, to learn about themselves and various themes. Tests do not exist, instead participants are encouraged to go to their classes and are given a certificate in the end. For the innovation process, I was grouped together with brilliant minds from Shanghai, Cairo, Kampala and San Francisco. Our team worked on the SDG 11: “Make cities and human settlements inclusive, safe, resilient and sustainable.” Among other sub goals, the SDG 11a further aims to “support positive economic, social and environmental links between urban, peri-urban and rural areas by strengthening national and regional development planning.” After many hours of brainstorming and discussions, our group agreed on the following problem statement: Small-scale farmers in Eastern Africa have difficulties selling their produce to urban businesses. From there on, we interviewed Eastern African farmers, intermediaries and urban businesses via phone to understand their needs. We found that efforts to cut out intermediaries are often not beneficial as they hold many connections on both sides and take care of the logistics. Furthermore, farmers often do not know what to produce and therefore plant a variety of crops of smaller quantities. As a solution, we came up with a digital platform that supports the overall information flow between the actors. It communicates via text message between farmers and intermediaries and through online forms between intermediaries and urban businesses. This way, all actors win through increased business based on a better match between supply and demand, and less produce is wasted. 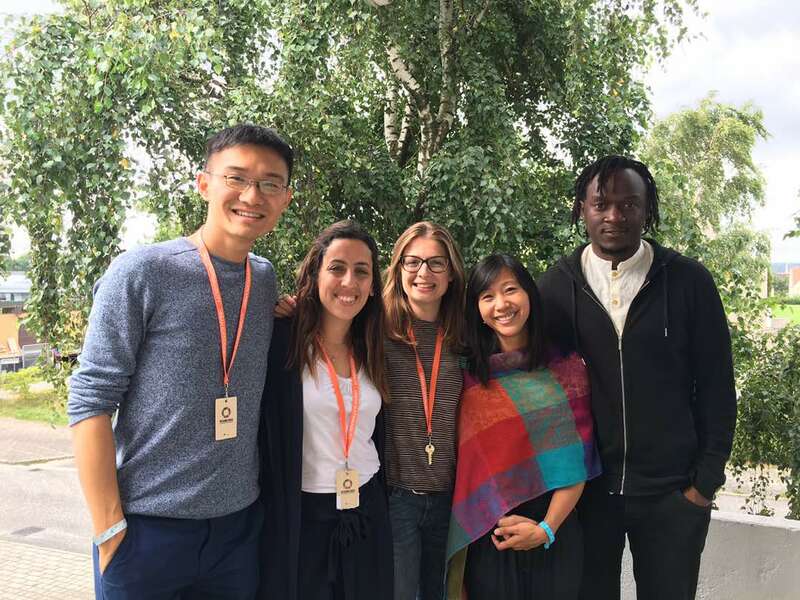 The many hours of work and pitching of our ideas to UNLEASH’s facilitators, experts and investors were accompanied by daily sessions of singing in the morning (a Højskole tradition), immense cooperative efforts to help each other, and a shared drive to make the world a better place for all. As a result, a strong, collaborative, global community was born. Following Henrik Skovby’s vision, the UNLEASH organization announced that they would continue to support the UNLEASH community and their ideas for at least one more year, both financially and through advisory services. From now on the UNLEASH innovation lab will take place once a year until the year 2030, when the 17 SDGs need to be fulfilled. My hope is that more initiatives such as UNLEASH will arise, and young people will become empowered to act upon their beliefs and consequently guide our world into a sustainable future. 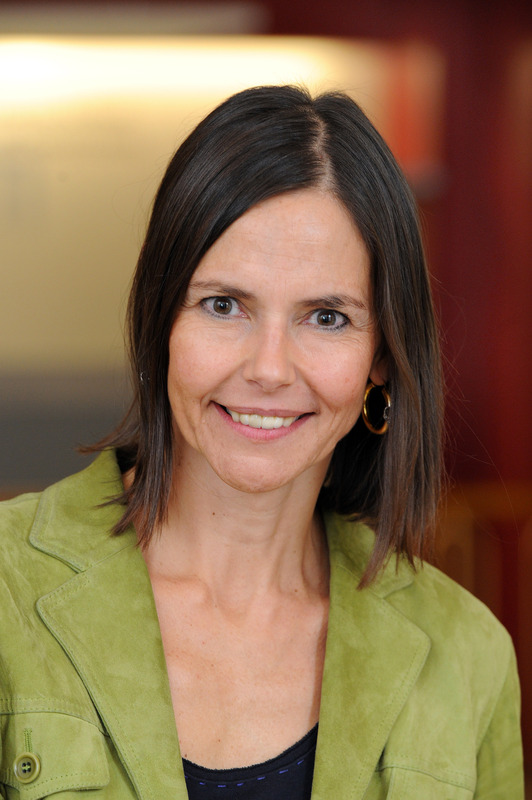 Johanna Mair is a professor of Organization, Strategy and Leadership at the Hertie School of Governance, Academic Editor of Stanford Social Innovation Review, Co-Director of the Global Innovation for Impact Lab at the Stanford Center on Philanthropy and Civil Society, and Academic Co-Director Social Innovation and Change Initiative at the Harvard Kennedy School. Mair is also a member of the Alpbach-Laxenburg Group, which holds its annual retreat this weekend on the sidelines of the European Forum Alpbach. At the Alpbach-Laxenburg Group retreat this weekend, you will be joining a discussion on governance and institutional transformation towards sustainability. What do you see as the biggest barriers to sustainable development? Sustainability challenges typically require a concerted effort to achieve impact. We still lack the appropriate governance and accountability mechanisms that ensure implementation of well-intended strategies and commonly devised goals. As an expert in social entrepreneurship and innovation, what new developments have you seen that you think could drive a transformation towards sustainability? Could you give examples of successful innovations that have taken hold? We do see innovation on many fronts. Especially in governance technology has enabled a number of useful and helpful innovations that allow for more transparent and accountable processes. At the same time we still face enormous challenges that cannot be fixed by technology and require us to face deeply rooted relational and cultural problems. The prevalence of open defecation and lack of sanitary infrastructure in India is just one example. Sometimes it seems like there are many great ideas, but adoption is slow. What do you think is necessary to make the leap from innovative idea to widespread practice? “Most new ideas are bad ideas” as Jim March from Stanford University would say. We must stop praising innovation and start to think and act on linking innovation and scaling as two distinct process to create impact. Innovation is an investment and creates the potential for impact. Scaling enacts and grows this potential and transforms innovation into tangible outcomes – improving the lives of marginalized people and communities and making progress on stubborn societal and environmental problems. We have elaborated on this in our new book on “Innovation and Scaling for Impact – How Successful Social Enterprises Do It,” which I co-wrote with Christian Seelos. How do innovation and governance go together? What are the challenges and opportunities for bringing new ideas into institutions and governments? Governance needs to exert an enabling role. We need to craft and design governance systems that foster innovation. At the same time, governance systems need also make sure that the potential and usefulness of innovation can be tested along the way. This requires reflecting on markers of success that are process and not outcome focused. The most important outcome will be a shared understanding of priorities, pathways, and markers of success for this journey. What will the world be like in 2050? Of course, it is difficult to make predictions, especially about the future, as the Danish proverb goes. Part of the difficulty is that we – individuals and the institutions that allow us to act collectively and in the long term – routinely assume the future looks very much like the past. Just as routinely, though, this assumption is flipped on its head. Think of the global financial crisis, the Arab Spring, Brexit, or the recent US election. But what if we already know what we want the world to look like in 2050. How do we get there? I was reminded of the Danish proverb as I arrived at the International Institute for Applied Systems Analysis (IIASA) outside Vienna earlier this month for a three-day meeting of The World in 2050 (TWI2050) initiative. This was the third such scientific meeting hosted here at the home of some of the leading economic, demographic and energy modellers. TWI2050 is arguably the most ambitious research being undertaken in the world today. At its heart is an ambition to map out the pathways for a sustainable planet. As with the previous meetings, it attracted about 130 complex-systems thinkers and computer-modelling experts. Unlike other international modelling initiatives, TWI2050 was not created to explore a range of possible utopian to dystopian scenarios focusing on energy prices or climate change. The baseline assumption is a single scenario: successful completion of the Sustainable Development Goals (SDGs), agreed by all nations in 2015, and arriving in 2050 with a global economy operating within planetary boundaries – the limits of natural systems that keep Earth in a relatively stable state, relating to climate, biodiversity, deforestation, and fertilizer use, among others. The 17 SDGs and their 169 targets are extremely ambitious. Buried in the detail are many trade-offs but also potential win-wins. Meeting the climate goal means reducing greenhouse-gas emissions to zero, and this could affect the energy, biodiversity, or consumption goals either positively or negatively. The goals and their inherent trade-offs are already catalyzing research and the results show how challenging this will be. This month, scientists publishing in the journal Nature explored Australia’s land-use trade-offs to reach the goals. The team, who were not at the TWI2050 meeting, used a massive computer simulation called Land Use and Trade Offs (LUTO) to see how factors such as climate policies or crop prices could shape Australia’s landscape by 2050. Exploring 648 scenarios, researchers Brett Bryan and Lei Gao found just 1% of scenarios achieved five goals simultaneously. However, some goals seemed to go better together than others. Achieving targets related to food, water, and biofuel production was possible in 6.5% of scenarios, for example. The authors, whose work contributes to Future Earth’s Global Land Programme, conclude that national policymakers need more of this type of analysis to elucidate trade-offs and avoid conflicting policies. Moreover, they argued for more scientific coordination internationally for a global perspective on implementing the SDGs. Other research groups have also begun exploring the world in 2050. Recently Karl Heinz Erb from the Institute of Social Ecology, Vienna, who attended the TWI2050 workshop, and colleagues explored 500 scenarios to assess options for feeding 9 billion people in 2050 without further deforestation . Their work, which also supports the Global Land Programme, concluded that it was possible, but would likely mean low meat, vegetarian, or vegan diets globally. 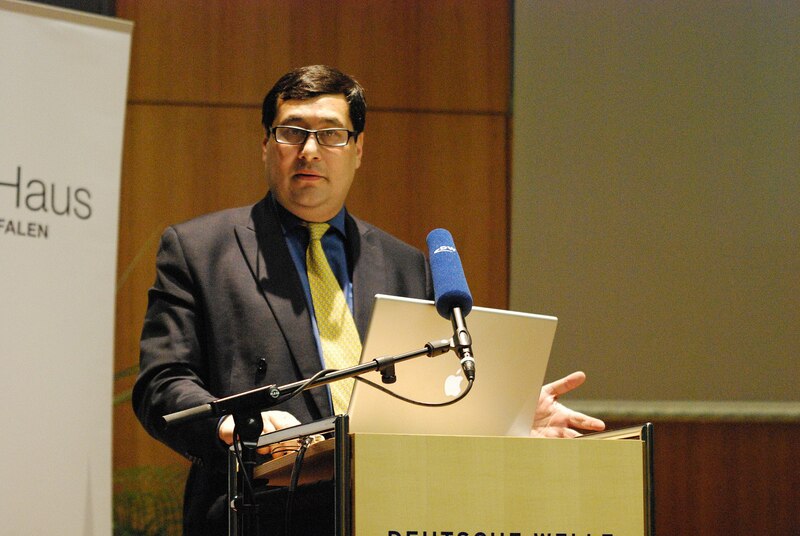 Meanwhile, Marco Springmann from the Oxford Martin Programme on the Future of Food, also attending, and colleagues showed that by 2050 a global vegetarian diet would reduce diet-related global mortality by 6-10% and food-related greenhouse gas emissions by 29-70% – contributing to several goals. This type of research is essential to understand potential win-wins but these examples do not provide the pathways to arrive at these scenarios. This article is excerpted from an article on the Rethink.earth website. It gives the views of the author, and not the position of the Nexus blog, nor of the International Institute for Applied Systems Analysis. *The Stockholm Resilience Centre is one of the founding partners of The World in 2050 alongside the Sustainable Development Solutions Network and IIASA. Contributing organisations include the European Commission, Future Earth, Netherlands Environmental Assessment Agency, Potsdam Institute for Climate Impact Research, Future Earth. Check out the website for details. By Alvaro Silva Iribarrem, researcher in the IIASA Ecosystems Services and Management Program. Restoration of degraded ecosystems is an exciting and relatively new way of looking into the conservation of natural capital—the world’s natural assets, including soil, air, water, and all living things. For one, the success of restoration is more readily verifiable than, for example, avoided degradation. Further, it increases the landscape’s resilience: natural areas can be placed around agricultural crops, increasing their yields by providing habitat for pollinators and therefore increasing pollination, protecting them from natural disasters, and improving the provision of important ecosystem services for human wellbeing. These services include removing CO2 from the atmosphere (which contributes directly to climate change mitigation); ensuring that more sediment is filtered from the rivers (which reduces the risk of landslides and floods); and providing habitat for a large diversity of species. For scientists, it feels like being at the head of the counter-offensive: it is us, humans, finally doing something not only to slow our seemingly unstoppable degradation of the environment, but to actively start pushing it back. Restoring an ecosystem to its original state can be an expensive endeavor, but tropical rainforests are very resilient. For example, even after centuries of extensive use of the Brazilian Atlantic Forest, which has been reduced to a tenth of its size, in many places it would still grow back to much of its original state in a manner of decades, if allowed to do so. For such ecosystems, natural regeneration represents an extraordinary opportunity to enable restoration at scales that would otherwise be cost-prohibitive. In places like the Paraitinga watershed, in the countryside of São Paulo state, most of the original forest has long been cleared, and replaced, predominantly, by small dairy farms. After over a century of careless land use, large areas of the converted landscape has degraded to the point where yields are so low that farms are barely viable. The lack of forest cover has led to frequent floods. 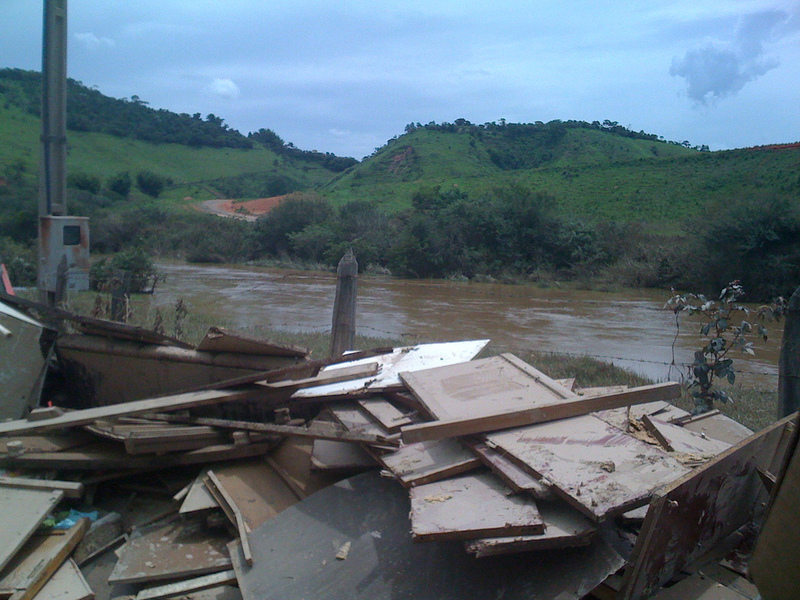 The worst of the recent ones, in 2010, destroyed most of the historical city of São Luiz do Paraitinga, with a population of 11 thousand inhabitants. In a couple of recent publications, we made a comprehensive effort to include the natural regeneration of that watershed’s native forest as part of a bigger plan for more sustainable development of the region, one that would increase its resilience to this kind of disaster. Starting from a landscape approach, we looked at the potential for grass growth in the region, and concluded that it was possible to accommodate all foreseeable future demands for cattle production and still make space for the restoration of a large area in the watershed. Sustainable intensification of current pasture is key to avoid the economic losses that could otherwise follow the land shortage caused by such a large-scale restoration. It would also help to gain the farmers’ acceptance. By producing more in a smaller area, they could let go of the degraded areas they currently use, allowing the native forest fragments nearby to spread. In our regeneration scenario, we assume that around 24,000 hectares of pastureland that is presently abandoned in the watershed will be allowed to undergo natural regeneration in the next 20 years. This naturally occurring forest regrowth would sequester 6.2 million tons of CO2 from the atmosphere. 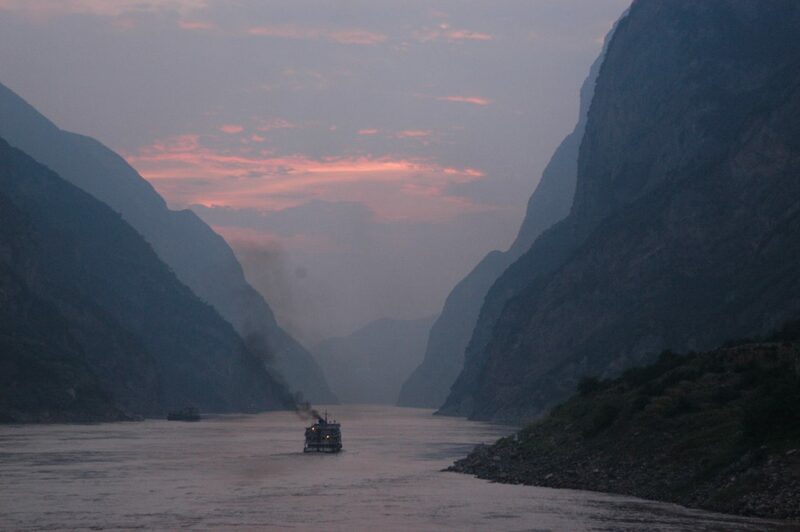 Additionally, it would reduce sediment load into rivers by 570,000 tons annually, bringing water purification costs in the area down by 0.37 dollars per year per hectare restored. Finally we showed that restoration of even this relatively small area would be enough to significantly increase habitat availability for all species, particularly for those which travel between forest fragments. To understand the difficulties farmers face in improving productivity, we conducted interviews and focus groups with them. We found that the tendency to keep to their old, low-producing, land-extensive ways, is less related to a resistance to change, and more to a lack of technical knowledge and the means to make the upfront investments needed to switch to a more productive system. Credit for investment is available and cheap in the country, but only a small number of farmers in the region risk taking it. Technical assistance is key to tap into these resources and enable the necessary improvement of the watershed’s production. The conditions for unlocking large-scale forest regrowth, not only in the Paraitinga watershed but in many similar landscapes in the country, are in place—they need only to be implemented properly. Strassburg BB, Barros FS, Crouzeilles R, Silva Iribarrem, A, dos Santos JS, Silva D, Sansevero JB, Alves-Pinto H, Feltrain-Barbieri R, & Latawiec AE (2016). The role of natural regeneration to ecosystem services provision and habitat availability: a case study in the Brazilian Atlantic Forest. Biotropics. Alves-Pinto HN, Latawiec AE, Strassburg BBN, Barros FSM, Sansevero JBB, Iribarrem A, Crouzeilles R, Lemgruber LC, Rangel M, & Silva ACP (2016). Reconciling rural development and ecological restoration: Strategies and policy recommendations for the Brazilian Atlantic Forest. Land Use Policy. 2015 marked a historic turning point. The sustainable development goals (SDGs) unanimously adopted by the United Nations last September provide an aspirational narrative and specific targets for human development: a world free from hunger, injustice and absolute poverty; a world with universal education, health and employment; a world with inclusive economic growth, based on transparency, dignity and equity. The 17 SDGs’ call for “global citizenship and shared responsibility” and provide legitimacy for a new global social contract for a grand transformation toward a sustainable future. They fully acknowledge the scientific advances achieved during the last three decades that have established compelling evidence that otherwise, as the UN general assembly warned, “the survival of many societies, and of the biological support systems of the planet, is at risk.” Humanity has pushed the Earth system and its global commons to their limits and the SDGs provide us with the long-needed paradigm shift towards realizing the opportunity of a sustainable future for all. The climate agreement adopted in Paris last December has further strengthened understanding that our society depends on sustainable stewardship of the global commons, shared by us all – and particularly on the stability of the climate system. The Earth system can no longer be viewed as an economic or social externality. Last year we moved beyond the traditional view of global commons as merely the common heritage of humankind outside national jurisdiction. Now we must move beyond national sovereignty to deal with the Earth system and human systems holistically, as the SDGs require. The Paris agreement is a huge step in the right direction. Time is running out, so we must take urgent action to implement the UN 2030 agenda. Just 14 years are left – less than the wink of an eye in the history of human development, or of the Holocene’s stable Earth systems. But where to start? Which of the 17 goals, which of the 169 targets should be tackled first? Policy makers, the media, civil society and scientists all ask these questions. However, the 2030 agenda stresses that the SDGs are indivisible and integrated – and cumulative, since efforts to achieve them must be sustained well into the second half of the century, especially in preserving the regulating function of the global commons, Some of the goals, such as SDG13 on climate, must operate on a time scale longer than century. 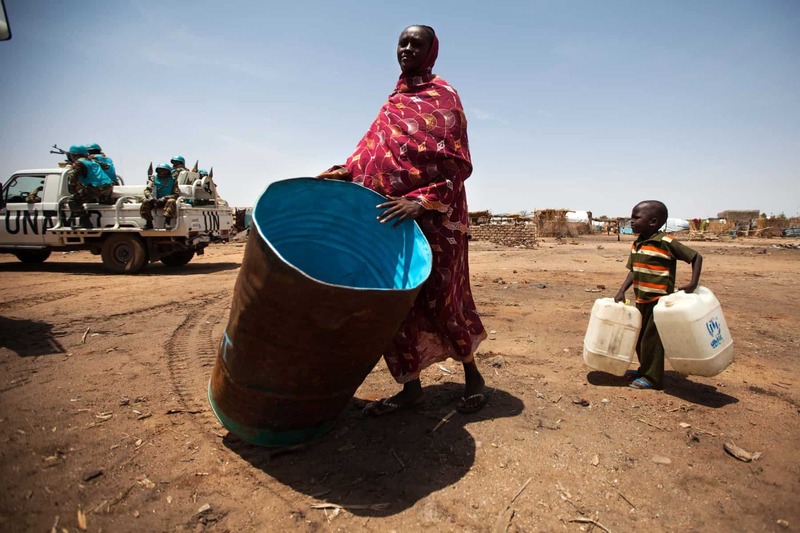 Sustainable Development Goal 6: Clean water and sanitation. Moreover, there are interactions between and among the SDGs. For example, achieving SDG7, the energy goal, could jeopardize SDGs related to water, health and climate. Tackled in harmony, however, these goals can support one another: there would, for example, be clear health benefits from reducing indoor and outdoor air pollution through global decarbonization. Jointly implementing all the SDGs would contribute both to further human development and to safeguarding the commons and the stability of the Earth systems. Importantly, joint implementation that avoids silo-type thinking would be cheaper and faster than tackling them separately. All these goals should be achieved in such a way as to maximize synergies and minimize investment costs and trade-offs. The SDG credo “leave no one behind” also applies to the SDGs themselves. They are indivisible. We have to deliver on all of them if we want to succeed. The SDGs are very ambitious but it appears that tackling them together will help humanity make rapid progress and enter a new era for human societies and the Earth system. Yet, many interactions – and their scope – are unknown, and this hampers holistic policy making. We lack clear understanding of the benefits of achieving SDGs and of costs of inaction, especially when it comes to regional and national differences. We urgently need this fact-based information. We have a plethora of knowledge, but need new ways to synthesize, integrate and share it so as to use its full potential in support of the SDGs and the global commons. Science – one of the strongest voices of the environment in governance – must become more active and leave its ivory tower to engage more intensely with other stakeholders. This is why we at IIASA, together with the Stockholm Resilience Center, and the Sustainable Development Solutions Network have launched the scientific initiative The World in 2050 (TWI2050), designed to provide the scientific knowledge to support the policy process and implementation of the 2030 agenda. TWI2050 aims to address the full spectrum of transformational challenges in fulfilling the SDGs in an integrated way so as to avoid potential conflicts among them and reap the benefits of potential synergies through achieving them in unison. This requires a systemic approach. 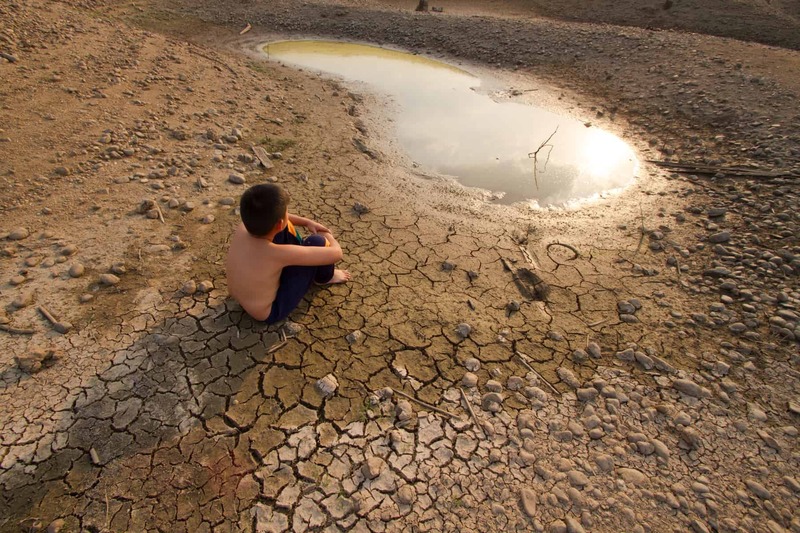 The time for “climate-only” or “economic development-only” approaches is over. We urgently need an integrated understanding of the processes that account for the inter-linkages between the economy, demography, technology, environment, climate, human development, all global commons and planetary boundaries. TWI2050 brings together leading policymakers, analysts, and modelling and analytical teams to collaborate in developing pathways towards the sustainable futures and policy frameworks necessary for achieving the needed transformational change. Such a grand transformation goes beyond a purely technology-centered view of the world or the substitution of one technology by another. It encompasses social and behavioral changes at all levels, as well as technological ones. Incremental changes, now being experienced in some areas, are useful but will not suffice: we have waited too long and the window for action is closing rapidly in some domains including such global commons as climate. We will need radical changes in human behavior and technological paradigms. TWI2050 will look beyond 2030 to 2050 – and, in some cases, even to 2100 – to draw a vision of the world where the SDGs are eventually fulfilled. The SDGs and the Paris agreement show what institutional international governance can achieve with joined forces. We have entered a new era of global governance, acknowledging the complexity and the connectivity of human development with the global commons and the Earth system. TWI2050 hopes to serve the global community with the best science available in tackling these key global challenges for humankind.